Barcelonas Jon Sweetname is making serious waves on the global scene at the moment. 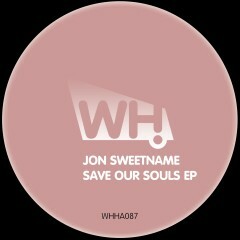 Save Our Souls EP is his follow up for last years Jazzidy EP on What Happens and features Save Our Souls, Finis Terrae and Shunut. Jon did it again. This is seriously good stuff not to be missed.